Providing you the best range of wrap around labels with effective & timely delivery. 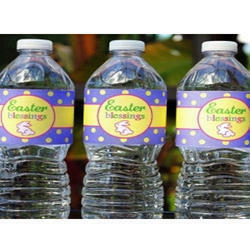 We are counted as consistent firm actively involved in developing best quality Wrap Around Labels. These labels are gaining wide popularity for its cost efficiency and unmatched performance in harsh conditions during transit. Ideal for packaged drinking water and consumer products the offered range of wrap around labels feature superior resistance to dust and dirt. Further, we have invested in advanced printing methodologies to present a qualitative range of wrap around labels with finest print quality at a competitive price.